Mountain View, California | California Fresh News from "Solana Beach"
What could be more fascinating than a trip to the city of Mountain View? Named after the Santa Cruz Mountains, Mountain View is smack in the middle of Silicon Valley, home to many prestigious technology firms including Google and LinkedIn. Imagine bountiful shopping for fresh organic fruits and vegetables. Mountain View’s award winning market has been in business for over fifteen years. No wonder so many people come here rain or shine each weekend — the market actually won an award for being in the top five famers’ markets in America. For those who love theater life or the drama of acting, The Mountain View Center for the Performing Arts is a must stop. This facility uses state-of-the–art technology to produce wonderful productions year round. Performances and performers are culturally diverse, appealing to those of a wide range of ages and backgrounds. How about visiting the world’s largest computer museum? 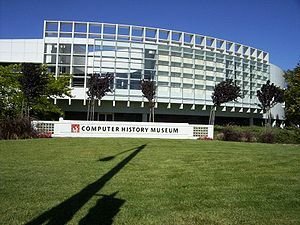 Located right in the heart of Mountain View is the Computer Museum History Center. Explore fascinating technology exhibits and witness the entire history of the computer age. This museum will enthrall anyone who has ever had a passion for technology. The Peralta Adobe and Fallon House Historic Site is made up of two historic buildings. One of them is the oldest known address in the area. Take a stroll back in time and see what San Jose was like before it was settled. There is an incredible bookstore in this facility as well, which sells a variety of historical reference books from the area. Do you love the great outdoors? Mountain View Skate Park is a beautiful park which offers space for BBQ’s, frisbee tossing, jogging, or simply sitting around with friends and family, without spending a penny. Additionally, there is a children’s playground, basketball court, picnic area and volleyball court as well. Located near the beautiful and historic city of San Francisco, Mountain View is one of California’s most unique and fascinating cities. Home to a wide array of attractions and sites of interest, Mountain View is a city that offers something for everyone. The city boasts a mild, warm climate year round, great cultural amenities, friendly people, and plenty of attractions and interesting landmarks. With so much to do and see, MV* is a city you will fall in love with after just one visit.